Where to buy ANKI DRIVE Cars, Starter Kit, and Tracks! 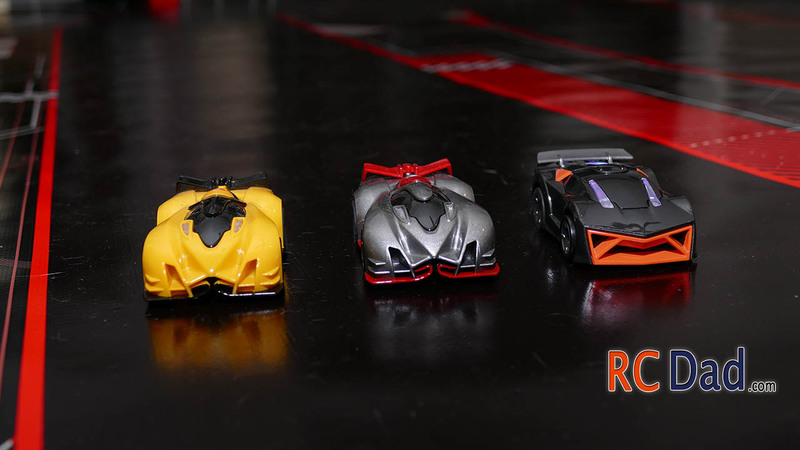 ANKI DRIVE Pictures – Click for larger view! 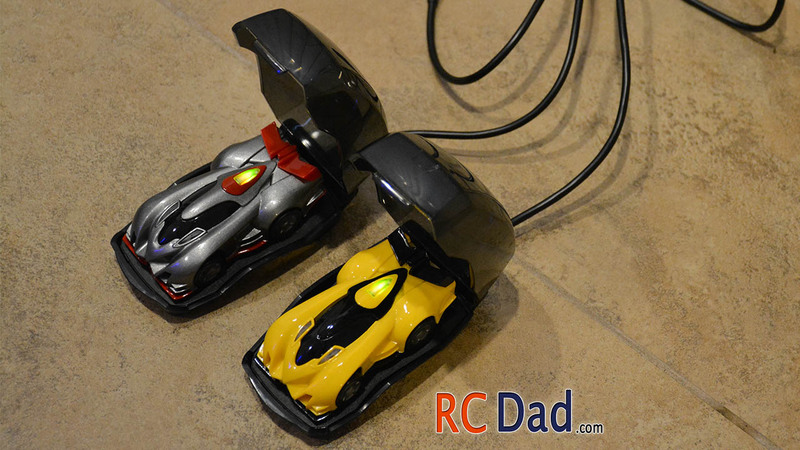 A quick summary about Anki Drive is that It’s part video game/ part real life combat racing. All you need is a starter kit and a compatible smart phone. 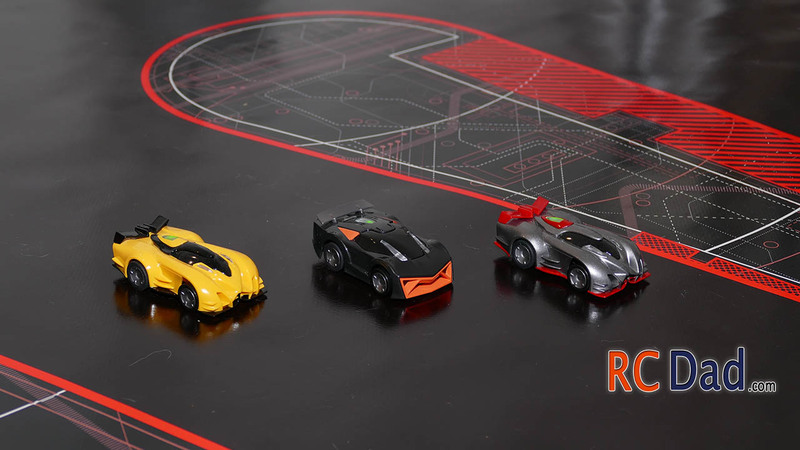 When I first saw Anki Drive I thought it was just a basic racing game. But after doing some research and testing it out, it is SOO much more than what it appears… you can race, battle friends, play against the computer and you and a friend can battle the computers AI… or artificial intelligence. It really is tons of fun and very easy to learn. I think it’s a great toy that both the kids and parents can play together. I secretly leveled up my car when Carmen wasn’t home so I could easily shoot and disable her car. The track is huge! To give you some perspective here’s Carmen on the track. So make sure you have the room to lay it out. The ANKI DRIVE starter kit comes with everything you need to get started. The app gives you a helpful tutorial that walks you through the controls and how the cars drive on your smart phone or ipad. The app is free and you don’t have to worry about being charged for anything, like upgrading the car. I was a little cautious about hidden “upgrade fees” since so many free games charge for extra turns, gyms, and stuff like that. The points you use to upgrade your car are earned by playing the game, either with friends or by yourself. There are some rumors that these will only work on iphone and that’s just not true, in the video I’m using my android LG G2 and Carmen is using a Samsung S5, both android phones. I added a link to where you can find all the compatible phones below. My phone isn’t listed there but it still works so make sure to do a little research on what phones are compatible. The cars are Extremely intelligent. They compute 500 times per second sensing the track, their position, speed, and steering while communicating back and forth with your Iphone or android. Playing against the AI is fun and you can set the difficulty level from (easy to medium to hard). The track is very interesting. It looks black to you and I, but it actually has code built into it that the cars can read and know exactly where they’re at all times. What makes this toy even more special is that the creators were getting their PHD’s in robotics when they were came up with the design. You can tell that this toy was very well thought out by people who were extremely passionate about it. In college these guys worked on machine learning, walking robots and autonomous vehicles. They spent over 5 years working on it and it shows in the quality of the product. As you get better your car evolves. The cars weapons, speed, and abilities change as time goes on, making it fun and challenging even after months of playing with it. As you play you earn points that you use to upgrade your car like, increasing speed, boosting shield strength, power up weapons, and much more. You can build points by simply practicing against the AI. Each car will keep the upgrades you put on it! Even if you trade your car with a friend, those points stay will the car. This is not some gimmick toy that your kids will play with for an hour and never touch again. This is a well thought out fun packed toy that both adults and kids will enjoy playing with! 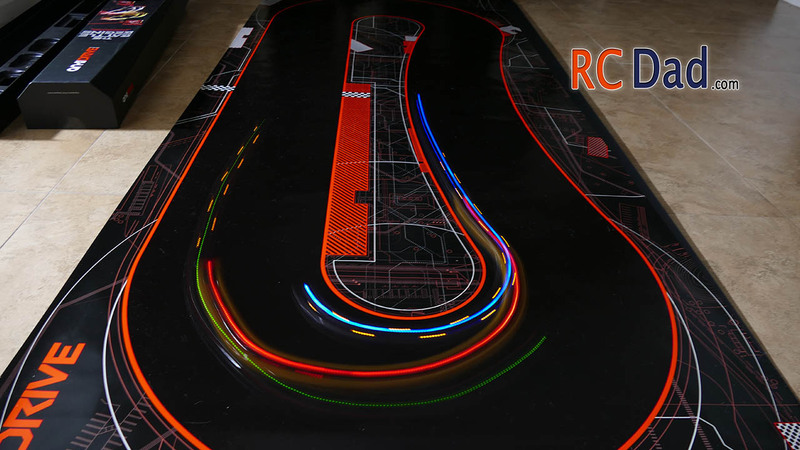 Now I’ll quickly go over the Anki cars and some tips on taking care of your track. First we have the two cars that come with the starter kit, the Bonson and Kourai. Tractor Beam – Reel in the competition for an easy attack. Gravity Beam – A trackor beam upgrade that slows down enemies and draws them into your fire. Beam Disruptor – Disrupt enemy tractor beams and reduce their ability to slow you down. Vulcan Cannon – Damages all enemy robot cars in firing range. Universal Mount – Allows weapons to be equipped in both ways. Scrambler – Emit a signal that throws nearby opponent’s control systems into disarray, causing them to veer uncontrollably all over the track. Chaos Pulse – Upgrade your Scrambler’s signal with a chaotic discordance that causes your victim’s weapons and items to fire uncontrollably. There’s also the Corax, Katal, Spektrix, Rho, and Hadion. There are 3 tracks available. 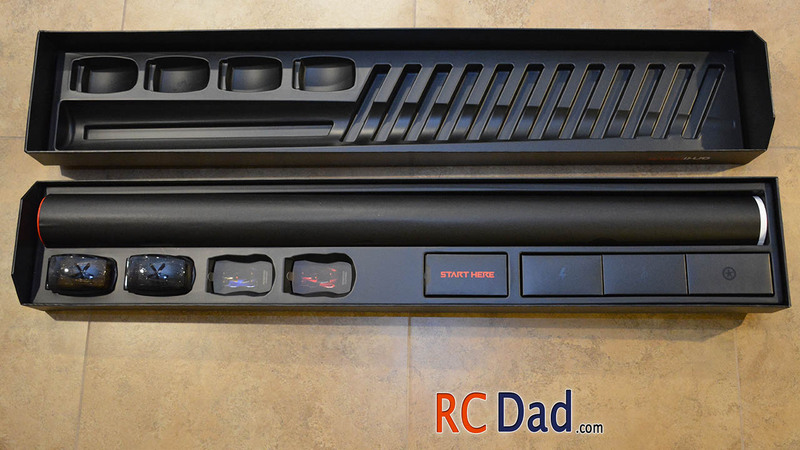 This is the one included with the starter kit. There’s also the crossroads and the bottleneck which offer some cool challenges. 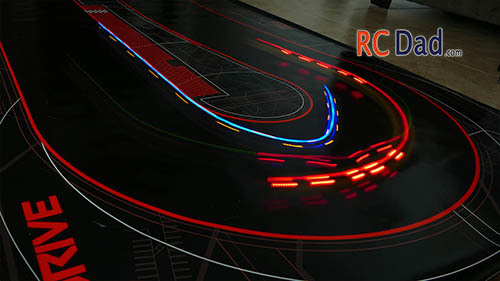 The track has a sticky feel to it, this helps keep the cars from slipping and enables tight cornering. To extend the life of your track I would recommend not touching or letting pets walk on it because it’s kind of like the sticky side of a piece of tape. The more you touch it the less traction you’re going to get. Plus hand prints are very hard to get off the track even after cleaning it with a microfiber towel. Now there are some weapons that will sometimes knock the cars off the track, that and ramming other cars will sometimes cause them veer off which is pretty fun to watch. Storing you track is easy. Make sure to keep the thick paper that comes with your kit and overlay it on your tack before rolling it up! This will help prevent dirt from sticking to your track.